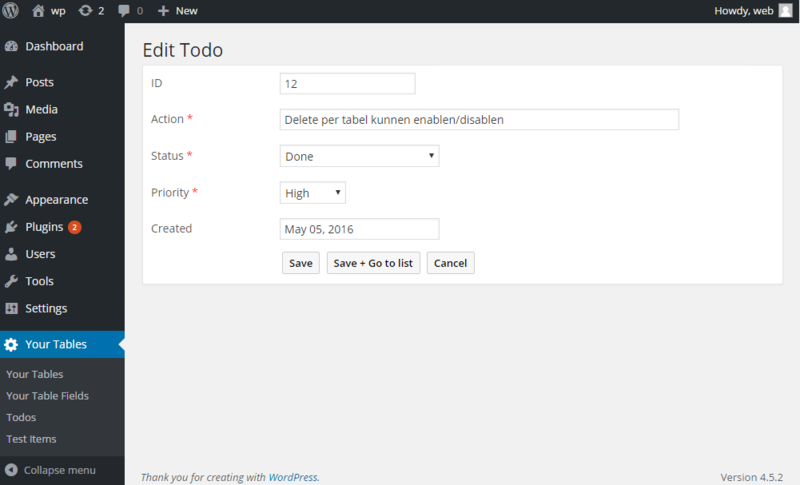 This plugins lets you define forms in the admin area for existing tables in your WordPress database. The creation of forms to Create, Update and Delete records is a lot of work. 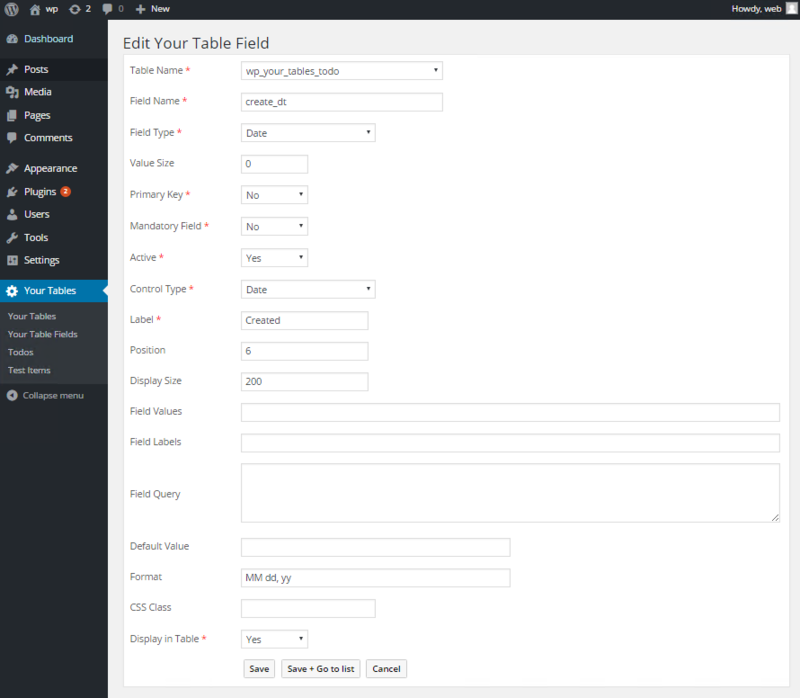 This plugin lets you define the tables and its fields and generates the form for you. The definition of your tables and fields is done in the ‘Your Tables’ and ‘Your Table Fields’ items in the ‘Your Tables’ menu. This functionality is created using the Table definition functionality of this plugin itself. Drink your own Champagne! Make the functionality available for other roles if needed using ‘Your Tables Settings’ under the WordPress Settings menu. I get a message saying wp_your_tables does not exist! I had some hopes with this plugin, but disappointed. Also, I don’t see any sub menu under “Your Tables” as shown in screenshot..
What version of WordPress you are using? 1) What version of WordPress you are using?